First up, to all the veterans who served in the military here in the US or abroad, thank you for your service. Happy Veterans Day to all of you out there. I guess you could say I've been converted. Tony from the Off Hiatus blog got me started on the Just Commons website train a few weeks ago, and after the 2nd transaction that I recently completed, I must say I'm impressed. I actually have a good story about the Just Commons site that I'm going to save until the weekend. In short, I'll say that it was definitely a positive experience for me and I'll be sending more business their way in the future. But for now, I wanted to show off a few cards that knocked off some Blue Jays want lists out of this last order. 1994 Score is the first victim here, with these 4 cards in hand I was able to remove this set from the giant want list. 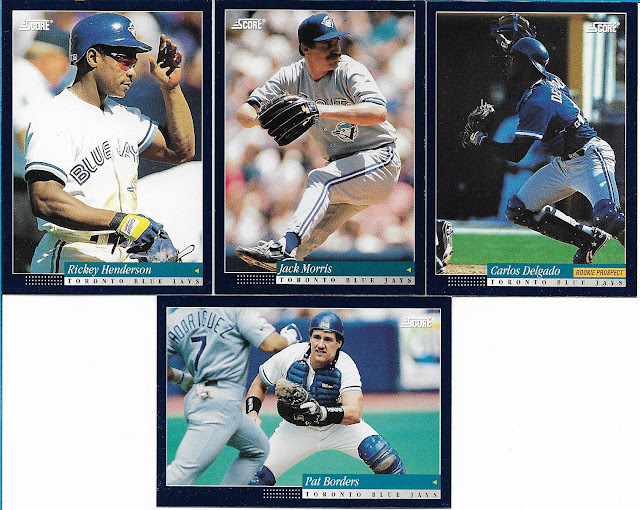 One of these days I'm going to have to put a checklist together of Carlos Delgado cards that feature him in catchers gear, because I keep finding more. Love the shot of Pat Borders on the bottom getting ready to tag Ivan Rodriguez out at the plate. I see these two cards, sit here and scratch my head and wonder how I didn't have them in hand. 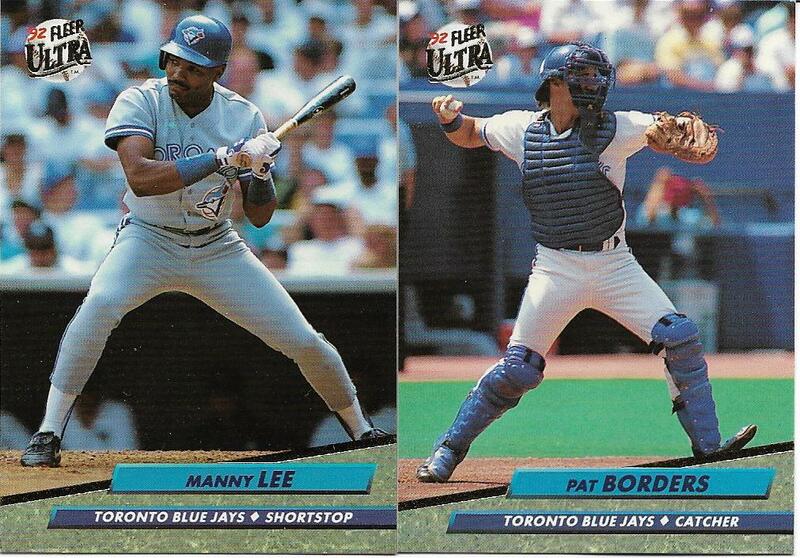 I collected so much '92 Ultra back in the day. Crazy. But, it's another set that is no more. 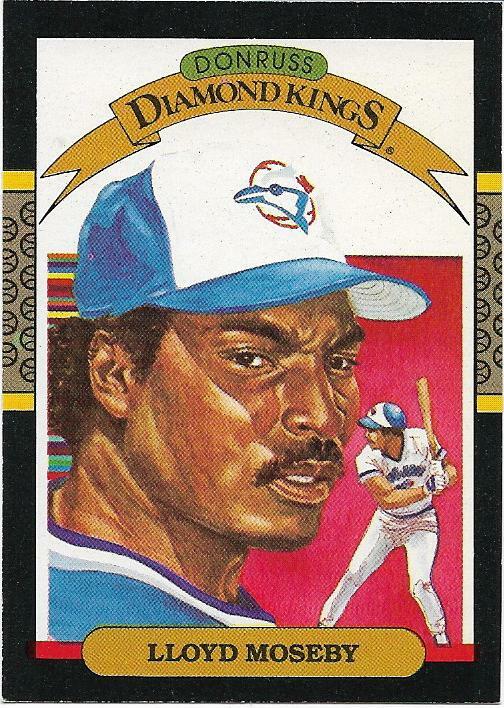 The addition of the '81 Donruss Dave Stieb card means that any card that I need prior to 1984 is either from Topps (2 cards) or O-Pee-Chee (115 cards). 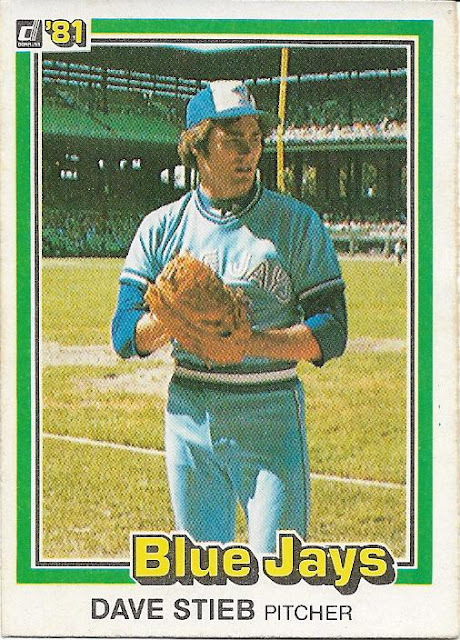 I don't know what's worse, the 2 card want list from '77 Topps or the fact that I counted out 115 cards that I need for OPC sets. 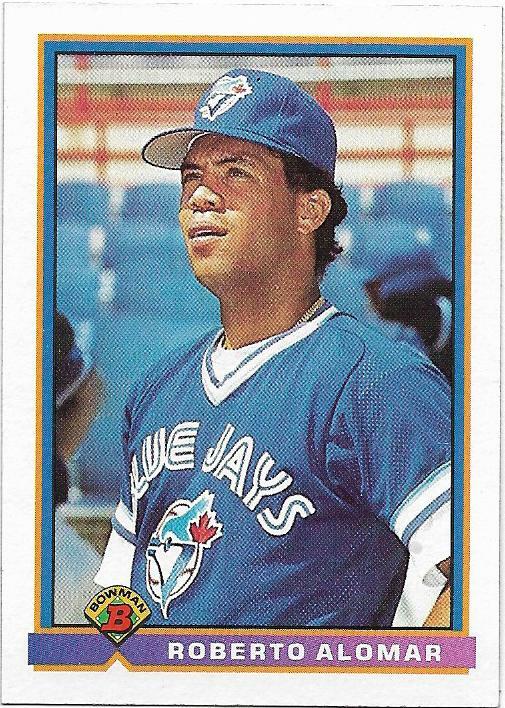 It's amazing just how many players from the Jays and Expos that OPC featured. In addition to completing some sets that have been worked on for a long time, I'm trying to knock the Jays want list down some. I'm trying to be a little more realistic and remove some of the rarer parallel sets off of the list while using Just Commons to whittle down the mainstream sets. Just in case you're wondering, there's a lot more to this order than just these 5 cards, trust me. Those four 1994 Score feature a pretty darn good team.